Check out our Reverb.com selections. 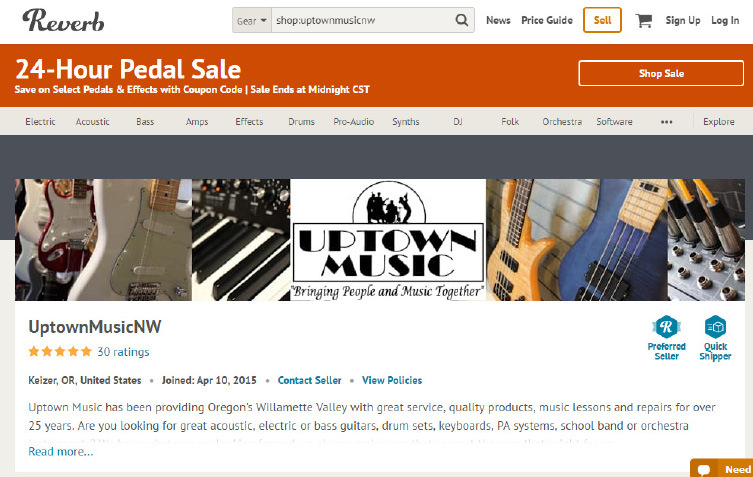 Uptown Music is a Preferred Seller with Quick Shipping credentials. Like what you see? Call us direct about the instrument you see 503.393.4437.